Hauskaa lauantaita, tervetuloa pääsiäisen ajan Allsorts haasteen pariin! "Perhosia, kukkia ja ötököitä", joita halutaan nähdä seuraavan kahden viikon ajan! Samalla lähetän synttäriterveiset ja onnittelut tyttärelle! Happy Saturday, it's time for a new Allsorts Challenge! This Easter time gives us a little holiday, so for the fortnight we want to see " Butterflies, Blossoms and Bugs"! Prizes comes from The Paperbox. 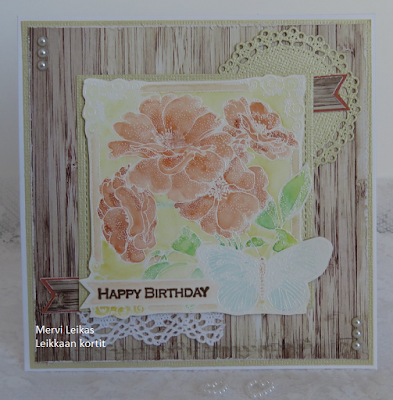 Another really pretty creation Mervi and with beautiful blooms, thanks so much for creating such a lovely card for my theme week. What a great sketch Mervi, and love that stamp! Gorgeous image and love the subtle colours, very pretty card. Love your soft colors and the woodgrain background! So happy to have you in our gallery at Seize the BIrthday! Love the soft colors and awesome card. Thanks for sharing over at Colour Crazy challenge. 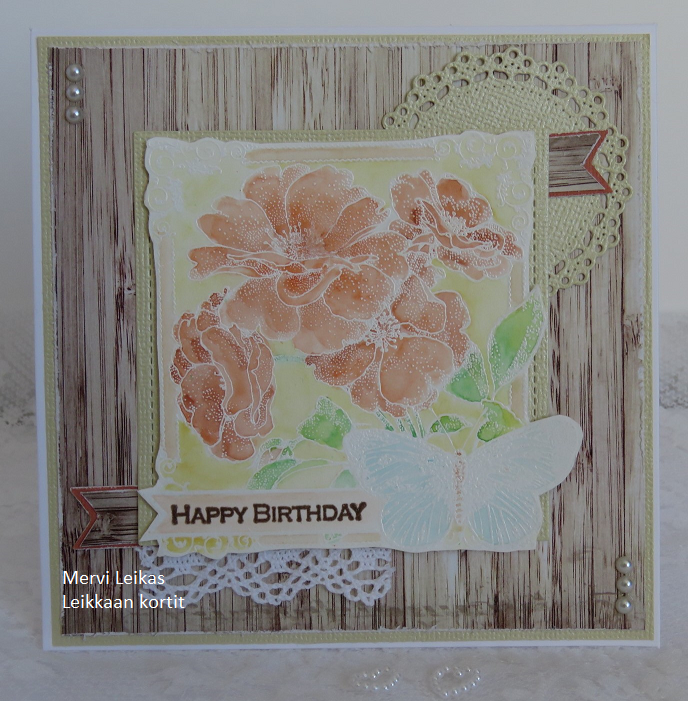 Mervi, what a beautiful light and delicate watercolour card you have made here which fits perfectly the Colour Crazy Challenge this week. Thank you for entering and best wishes in the draw. Kym (Colour Crazy Challenge Design Team Member).